Physician Informaticists are UCLA physicians who are engaged in all aspects of understanding and promoting effective organization, analysis, management, and use of clinical information in CareConnect. For more information, read more about our Physician Informaticists and their projects. Michael Pfeffer, MD, FACP, serves as the Assistant Vice Chancellor and Chief Information Officer for the UCLA Health Sciences, which is comprised of the UCLA Hospital System, the UCLA Faculty Practice Group, and the David Geffen School of Medicine. Dr. Pfeffer is responsible for the development and operations of the information systems, the overall health IT strategic plan, and the implementation of transformative and innovative technologies to further UCLA’s mission of healing humankind one patient at a time. Dr. Pfeffer served as chief medical informatics officer from 2013 to 2015 and led the initial "Big-Bang" go-live with CareConnect for UCLA’s electronic health record encompassing over 26,000 users. Dr. Pfeffer also serves as a core faculty member for the internal medicine residency program, focusing on information technology solutions for educating residents and improving transitions of care. In addition, he continues to practice as an academic hospitalist working with residents and medical students in the care of patients. He is an associate clinical professor of medicine in the David Geffen School of Medicine and board-certified in Internal Medicine and Clinical Informatics at UCLA. Dr. Pfeffer is an associate program director for UCLA's new ACGME-accredited clinical informatics fellowship. Learn more about Michael Pfeffer, MD, FACP. Dr. Cheng serves as the Chief Medical Informatics Officer for UCLA Health, and provides leadership to UCLA information technology efforts to support physician quality, practice, and efficiency objectives. He supervises the Physician Informaticist team listed here, the Health Information Management Services (HIMS), and a team of medical informatics who work on reporting programs (including Meaningful Use/Promoting Interoperability and Inpatient Quality Measures), Population Health, Clinical Decision Support, and Clinical Content. Dr. Cheng is one of the chiefs who report to the Chief Information Officer. He has a background in health services research. Learn more about Eric Cheng, MD, MS.
As a practicing ophthalmologist and cataract refractive surgeon, Dr. Bartlett is interested in enabling providers, especially ophthalmologists and other high-volume providers, to use CareConnect to provide accessible, efficient, and high-quality care. This includes identifying and aiding providers that struggle with EHR documentation, decreasing or avoiding physician burnout due to EHR use, incorporating the use of external benchmarking data through the use of national patient registries, and leveraging CareConnect to decrease the overuse of medications and testing. Learn more about John D. Bartlett, MD. Douglas Bell, MD, PhD, is a general internist and a clinical informaticist focusing on the design and evaluation of health information technology (HIT). Dr. Bell is Program Director of the UCLA Clinical Informatics Fellowship Program, Director of the Informatics Program of the UCLA Clinical and Translational Science Institute, and a Professor in the Department of Medicine at the David Geffen School of Medicine at UCLA. He is currently leading research into methods for analysis of electronic health records (EHR) data and for delivering effective clinical decision support. Learn more about Douglas Bell, MD, PhD. Learn more about Annapoorna R. Chirra, MD. Dr. Dardick is a Clinical Associate Professor at the David Geffen School of Medicine at UCLA. Several of his previous projects involved creating registries, data mining, data mapping and/or data analysis. He has designed and queried SQL databases and written web-based PHP programs. His current projects at UCLA include physician education, provider well-being, workflow support, clinical decision support, health maintenance, asynchronous "curbside" consultation and open note-sharing with patients. Learn more about Lawrence D. Dardick, MD. Dr. Day serves as a physician informaticist for CareConnect, focusing on mobile health, clinical decision support and improving patient engagement. He co-chairs the UCLA Patient Engagement Committee, a multidisciplinary group that manages patient education content and works with diverse stakeholders on campus to increase health literacy and promote shared decision making. Dr. Day is supporting the implementation of the Medicalis imaging clinical decision support and the Agfa vendor neutral archive projects. He is also the principal physician builder for ED-related order sets and preference lists. Learn more about Frank C. Day, MD, MPH. Christopher Denny, MD, is a professor in the department of pediatrics in the David Geffen School of Medicine at UCLA. He is a specialist in pediatric hematology-oncology and has a long standing lab-based research program focused on elucidating molecular mechanisms of oncogenesis and more recently, developing nanotechnology delivery platforms. Dr. Denny is director of the Center for Translational Technologies program within the UCLA Clinical and Translational Sciences Institute. In addition, he co-directs the Computing Technologies Research Lab, a software development group focused on creating database backed websites that support research and education at UCLA. Learn more about Christopher Denny, MD. Keith S. Garb MD, PhD, is a general internist and primary care physician. His clinical specialties include Allergy/Immunology and Pulmonary Medicine. He practices at the UCLA Entertainment Industry Medical Group. In addition to his clinical practice, Dr. Garb is an Epic-certified physician builder and a physician informaticist with UCLA Health. His current informatics interests include Epic implementation, ambulatory EHR, and user support and training. He is keenly interested in strategies for customizing the EHR to improve both efficiency of data entry and overall provider and patient experience. Learn more about Keith S. Garb MD, PhD. Jonathan P. Heldt, MD Assistant Clinical Professor, UCLA Department of Psychiatry Physician Informaticist Dr. Heldt serves as the physician informaticist for the Department of Psychiatry and Biobehavioral Sciences. He has been involved in the creation of a decision support system to facilitate identification of potentially life-threatening medication side effects. Dr. Heldt is currently working on a project that will help to identify patients who are at the highest risk of readmission following discharge from the hospital. In addition to these projects, Dr. Heldt enjoys improving the efficiency of the workflow for providers in his department so that they can spend less time on the computer and more time with their patients. He works as an inpatient psychiatrist in the UCLA Resnick Neuropsychiatric Hospital. He is involved in medical education and has authored two textbooks on psychiatric diagnosis and treatment. Learn more about Jonathan P Heldt, MD. Dr. Hiyama is Professor of Clinical Surgery and director of the gastrointestinal and colorectal surgery service at Ronald Reagan UCLA Medical Center. He is a physician informaticist, and is board certified in Clinical Informatics. Prior to becoming an informaticist, his research interests included the improvement of clinical outcomes for surgical patients. As an informaticist, Dr. Hiyama’s work has focused upon leveraging the EHR to improve inpatient workflows, particularly in perioperative care, clinical pathways for Enhanced Recovery After Surgery (ERAS), the discharge process, and in enhancing post discharge care. From his past experience in hospital and medical staff administration, he has also worked extensively in improvements in the utilization review process without burdening providers, and making improvements in the coding and documentation process to improve the accuracy of reporting for quality purposes. Learn more about Darryl Hiyama, MD. In his role as Physician Informaticist, Dr. Lerner's areas of focus include pediatrics, myChart, quality improvement, population health, patient questionnaires, and handoffs. He is member of several leadership groups, including CareConnect's Ambulatory Operations Advisory Group, the Medical Staff Executive Committee (as chief of staff) and the Faculty Practice Group's Ambulatory Practice Clinical Associates (APCA). Dr. Lerner maintains an active general pediatric practice and supervises the resident primary care clinics Dr. Lerner's research interests include health care delivery and health system redesign, with a focus on children with medical complexity. Learn more about Carlos Lerner, MD, MPhil. Learn more about Anne Y. Lin, MD. 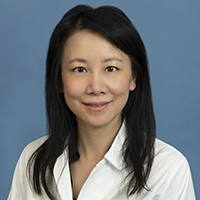 Yu-Hsiang Clara Lin, MD, is an Internal Medicine-Pediatrics physician at UCLA Health. 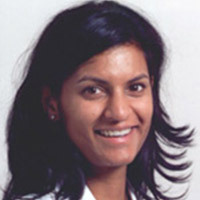 She practices primary care internal medicine and pediatrics at the UCLA Community Physician Network (CPN). Her clinical interest is in providing primary care to patients of all age groups including newborn and geriatric care, with a special interest in helping children and adolescents with chronic and/or congenital illnesses transition into adult medicine. In addition to her clinical practice, Dr. Lin is also an Epic-certified physician builder and a physician informaticist with UCLA. She has experiences with Epic and other various EHR systems-- as well as Epic implementation-- in many other academic facilities prior to joining UCLA. Her current informatics interests include ambulatory EHR, smartlinks management, user support and training, resident physician informatics, Epic implementation, and in-basket optimization. Learn more about Clara Lin, MD, FAAP. Lynne McCullough, MD, is a Clinical Professor of Emergency Medicine at the David Geffen School of Medicine at UCLA and the Medical Director for the Saperstein Emergency Department in the Ronald Reagan Hospital in Westwood. She is board certified in Emergency Medicine, and clinical informatics, and continues to care for patients in the Emergency Department, while teaching medical students and residents. As a physician informaticist, and one of the lead physicians for the ASAP implementation (EPIC's application for EM), Dr. McCullough helped to guide the transition of Emergency Department workflows for all staff, including nursing, clerks, social workers, case managers and registration, as well as the development of documentation and order set build for the Emergency Departments of the UCLA Health. Dr. McCullough's areas of expertise include operational process improvement through workflow re-design, as well as leveraging functionality in the EHR to improve the ease with which quality care can be delivered, while reducing variability in practice through the use of strategically placed decision support and other tools. Learn more about Lynne McCullough, MD. Dr. Moore is Clinical Professor of Anesthesiology & Perioperative Medicine. His clinical specialty is regional anesthesia, and he previously served as Administrative Director of the UCLA Acute Pain Service. As a physician informaticist and lead physician on the CareConnect OpTime and Anesthesia implementation, Dr. Moore helped to guide the development of preoperative documentation at UCLA, and he continues to assist with ambulatory and inpatient surgical services and scheduling. Dr. Moore played a major role in the electronic health record implementation for the Martin Luther King Community Hospital. He also has been instrumental in development of quality measures on the national level and currently serves on the CMS Technical Expert Panel on the Development of Inpatient Outcome Measures for the Merit-based Incentive Payment System. Learn more about James Moore, MD. Dr. Naeim serves as the Chief Medical Officer for Clinical Research for UCLA Health as well as Director of Informatics for the Jonsson Comprehensive Cancer Center. He serves as an Associate Director of the Clinical Translational Science Institute and as Director for the Center for SMART Health. As a phyician informaticist, Dr. Naeim supervises the Beacon Oncology and Research EPIC teams for the health system. His focuses heavily on integration of clinical research across institutional systems from webIRB, to the Clinical Research Management System, to the Electronic Health Record. He is also leading major projects around Universal Consent for Precision Health and the collection of Wearable Sensor data in at-risk populations through IOT cloud environment in both AWS and Azure. Given his Ph.D. in Public Policy, Dr. Naeim has an active health services researcher with support through R01 grants and PCORI pragmatic trials focused on older and/or cancer populations. Learn more about Arash Naeim, MD. Dr. Nguyen is an assistant professor in the division of Maternal Fetal Medicine, in the department of OB/GYN at the David Geffen School of Medicine at UCLA. She is a certified Epic physician builder and board certified in Clinical Informatics. She has interest in utilizing electronic medical records (EMR) for improving patient care, standardizing documentation, and as a research tool. She participated in multiple Epic implementations during her training and has authored an article on improving documentation of shoulder dystocias with the use of an EMR. Her current projects include optimizing medical student documentation, standardizing point of care ultrasound into the UC vendor neutral archive, and optimizing the inpatient and outpatient EHR experience for both patients and providers, specifically within the LGBTQ and Women Health arenas. Learn more about Tina Nguyen, MD. Mindy K. Ross, MD MBA, is an assistant professor in the Department of Pediatrics, Division of Pulmonology. She is also board-certified in clinical informatics. She practices in the inpatient and outpatient settings. Dr. Ross’s research interests include optimizing communication, data capture, and documentation efficiency in the electronic health record (EHR), as well as using the EHR for clinical decision support at the bedside. Dr. Ross sees the EHR as an important tool to optimize patient care, quality improvement, and research. Learn more about Mindy K. Ross, MD MBA MAS. Ariel Seroussi, MD, is a faculty member in the UCLA Department of Psychiatry. He works as a full-time inpatient psychiatrist in UCLA's Stewart & Linda Resnick Neuropsychiatric Hospital. He also sees patients in his outpatient practice for medication management and psychotherapy, with a special focus on Cognitive Behavioral Therapy (CBT). Dr. Seroussi interfaces between the Department of Psychiatry and the Physician Informaticist group, and is involved in a number of clinical informatics projects seeking to improve patient care and physician efficiency. Most recently, he has developed an electronic system in CareConnect for filing involuntary holds in psychiatry, approved by LA County Department of Mental Health. Learn more about Ariel Seroussi, MD. 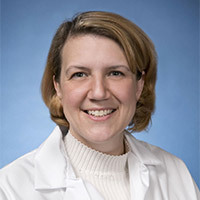 Jennifer Singer, MD, specializes in pediatric urology, and her clinical and research interests include, adult and pediatric renal transplantation and end-stage renal disease, and use of transplant immunosuppression and the molecular aspects of chronic allograft rejection. A board-certified urologist, Dr. Singer is an assistant professor of urology at the David Geffen School of Medicine at UCLA, where she co-directs the UCLA Pediatric Urology Program. She also serves as a physician informaticist and a clinical content coordinator for CareConnect, UCLA’s Electronic Health Record program. Learn more about Jennifer Singer, MD. Daniel V. Vigil, MD, is an associate clinical professor in the department of family medicine and the department of orthopaedic surgery at the David Geffen School of Medicine at UCLA. He also has an appointment at Olive View Medical Center and serves as the associate head team physician and director of primary care for the UCLA Department of Intercollegiate Athletics and for the Los Angeles Lakers. He is board certified in family medicine and holds a Certificate of Added Qualification (CAQ) in Sports Medicine. Dr. Vigil has completed the Advanced Physician Build training course at Epic's Headquarters in Verona, WI. He has expertise and interest in promoting and optimizing integrated care in a tertiary medical center using an electronic health record. With his clinical roles in orthopedics and sports medicine, Dr. Vigil has interests in optimizing ambulatory workflows pertaining to office-based procedures. Learn more about Daniel V. Virgil, MD. Hawkin Woo, MD, MPH, serves as a Physician Informaticist and general internist for UCLA Health. He is an Epic-certified physician builder. Dr. Woo’s areas of interest are Clinical Decision Support, Clinical Content, Provider Training, and Attending-Resident workflows. His current focus for Care Connect involve projects related to Population Health, Ambulatory Quality Measures, and Care Everywhere. Learn more about Hawkin Woo, MD, MPH. Allan Wu, MD, is a neurologist who specializes in movement disorders such as Parkinson's disease and dystonia. Dr. Wu has particular interest in the evaluation and treatment of patients with focal dystonia with EMG-guided botulinum toxin therapy and for providing quantitative insights into movement disorder symptoms from the perspective of abnormal movement (motor) control. Dr. Wu's research involves using modern brain mapping tools, such as transcranial magnetic stimulation (TMS) and functional MRI, to determine what functional changes occur within the brain in patients with movement disorders. These studies have led to translational neuromodulation studies with noninvasive tools such as repetitive TMS (rTMS) or trigeminal nerve stimulation (TNS), which may improve abnormal neural control of movement and lead to novel movement disorder treatments. Dr. Wu also serves as a clinical content coordinator for CareConnect, assisting with the design and development of content for a broad range of specialties. Dr. Wu has a particular interest in developing content for eventual use for research purposes. This interest in electronic medical record keeping dates back to his residency, when he designed software for and tracked patients on the Apple Newton MessagePad, a mostly portable mobile device that predated the iPhone by about a decade. Learn more about Allan Wu, MD. Bingnan Zhang MD,MBA is a general internist and hospitalist at UCLA. She joined physician informaticist group in 2018. She is interested in leveraging EHR and IT solutions to reduce healthcare provider burnout, improve decision support for clinical efficacy and safety, as well as generating insights from data analyses. In addition to clinical and informaticist work, she also has an active role in hospital operations. Learn more about Bingnan Zhang, MD.